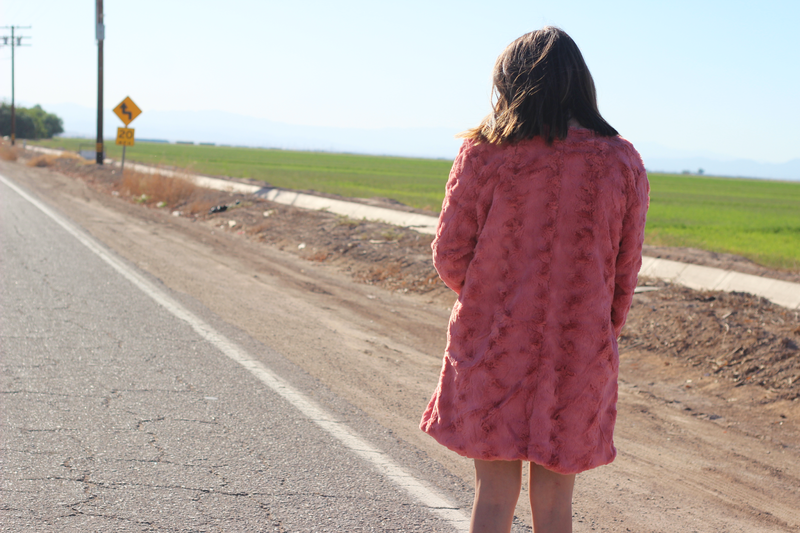 It is rare that I turn any fluffy or shaggy jacket down, and this one from Minkpink was definitely no exception. I was going to originally pair this with some faux leather leggings, and though I can see that outfit being a possibility, I liked it better with this lace skirt. I've also really been into stripes lately, so the sweater was an added bonus. Now you're ready to throw your hair down and take on the night (or day)! Can the weather cool down and be somewhere around 60 degrees like San Diego was meant to be so I can wear it more often? I can't believe that it is October once again starting tomorrow; the end of the year is always one which puts a lot of pressure for me somehow. Maybe it's probably because of the holidays, birthdays, and trying to figure out which family we have to visit on what day. I am going to Arizona to spend Thanksgiving with Alex, and we are thinking that we might take a road trip to the Grand Canyon, Sedona, and maybe Flagstaff (if it's snowing!) for the occasion. The whole time we've been living there, we never got to go to the famous scenic place, and it actually sounds like the perfect plan. Do you already know what you're doing this holiday season?